The American Duchess Guide to 18th Century Dressmaking Spotlight + Book Giveaway! 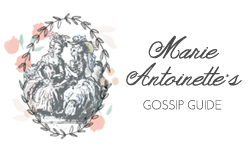 | Marie Antoinette's Gossip Guide to the 18th Century: The American Duchess Guide to 18th Century Dressmaking Spotlight + Book Giveaway! 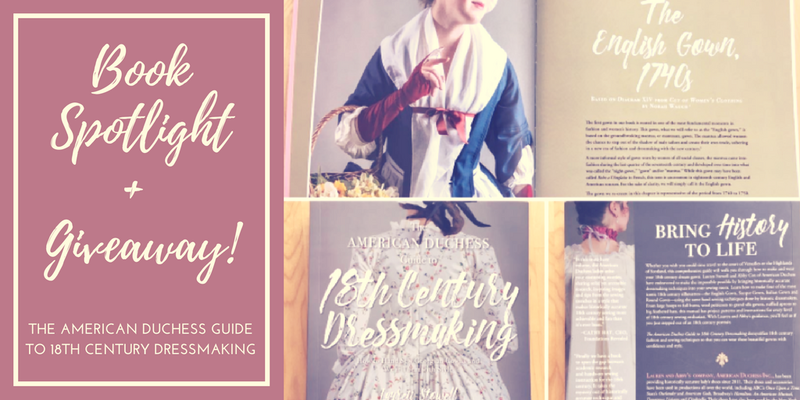 The American Duchess Guide to 18th Century Dressmaking Spotlight + Book Giveaway! Not long after I started blogging here I came across Lauren Stowell's blog on historical costuming. 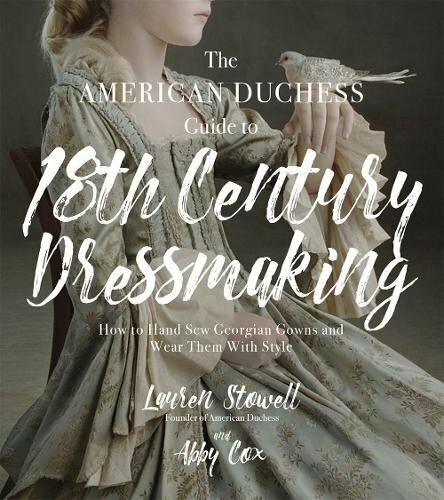 A long time follower, I was delighted to learn that Lauren, teamed up with Abby Cox, has recently published a book on 18th-century dressmaking. Let's dive into the book and see what it is all about! I received a free review copy of this book from the publisher; all opinions are my own, of course. Read on for a chance to win a signed copy of the new book! Whether you wish you could time travel to the court of Versailles or the Highlands of Scotland, this comprehensive guide will walk you through how to make and wear your 18th century dream gown. Learn how to make four of the most iconic 18th century silhouettes―the English Gown, Sacque Gown, Italian Gown and Round Gown―using the same hand sewing techniques done by historic dressmakers. 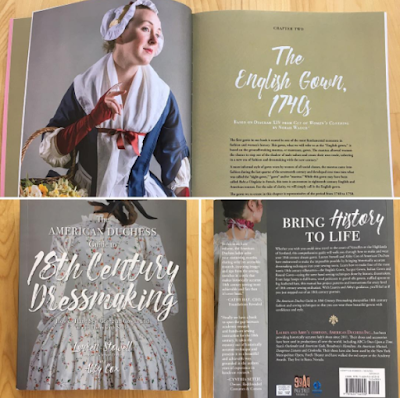 From large hoops to full bums, wool petticoats to grand silk gowns, ruffled aprons to big feathered hats, this manual has project patterns and instructions for every level of 18th century sewing enthusiast. With Lauren and Abby’s guidance, you’ll feel as if you just stepped out of an 18th century portrait. The American Duchess Guide to 18th Century Dressmaking by Lauren Stowell and Abby Cox. Inside are four complete projects and much more. The main projects include The English Gown, 1740s, The Sacque Gown 1760s-1770s, The Italian Gown, 1770s-1790s, and The Round Gown, 1790s. Each section also includes accessories you can make to accompany the dress such as hats, mitts, and wraps. You could fill your closet with endless combinations of gowns, patterns, and accessories with this one book! There is also an entire section dedicated to sewing historical stitches, which according to the authors, is imperative for the best quality and accuracy of the garment. I am a big fan of hand sewing and embroidery, but for a project as involved as a full gown the prospect of hand sewing seemed a bit intimidating. After walking through the neatly laid out steps in each chapter, however, I saw the importance of hand sewing in providing strength and flexibility to the garment. And let's face it, creating your own historical dress is a labor of love and you will love it all the more when done by hand. In my opinion, the intended audience for this book will have a little bit of sewing background, which is exactly the level I work at. I know the basic of stitching and the hand stitching chapter is an invaluable resource on select historic stitching methods. Something I found important is that everything, down to fabric choice, is explained in the book. The authors do not just tell you what to use, but why you want to use it. They have added fun facts throughout the chapters and mini history lessons that put each project in context. I felt this book was particularly strong because it included pattern pages for each piece. These are hand-drawn patterns that can easily be copied for your project. Like any good craft book, this one is loaded with fantastic photographs and illustrations that guide you through nearly every step of the process. Before diving into a project I was able to fully visualize how the garment would come together just by the detailed steps. And each piece of the project is manageable. 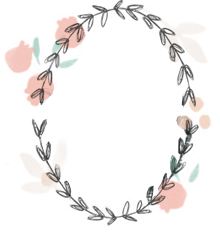 For example, you can create your stomacher in just 7 easy steps! Not bad. I tried my hand at creating a historical gown, well let's just call it historically inspired! Where was this book when I needed it! After reading, I immediately saw mistakes made in design (is it a modified Italian Gown?) lack of hand stitches and fabric choice. My mob cap could be greatly improved by following the 10 step instructions to create an Early 1780s cap on page 149. I would love to try an English Gown. I have to say, this book is encouraging and makes the task accessible. The tone is very friendly as if my friends Lauren and Abby were walking me through each project together. It has left me inspired to try my hand at a more accurate piece. I think I will start with an apron and some 5 loop bows, then I can work my way up! In celebration of the season and historical fashion, please enter a giveaway for the chance to win one signed copy of The American Duchess Guide to 18th Century Dressmaking. 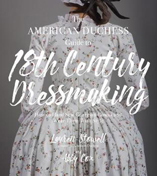 The American Duchess Guide to 18th Century Dressmaking Book Giveaway! The winner will be announced on Thursday, December 7. Shipment to US addresses. Authors Lauren and Abby have graciously offered a signed copy of their new book to one lucky winner! I'm so excited this is finally out! I can't wait to make an Italian or round gown! The Round Gown looks so comfortable! Will it be your first time making an historical gown? If I am not the fortunate winner, I will save my pennies to buy one! Oh! And I think my favorite is the sacque back gown. I never liked them before but that style has finally grown on me. Looking forward to learning more about the Saque gown! I am intrigued and interested in learning about all the gowns and accessories discussed in the book. I cannot wait to make the english dress! I just love the cut and lay of it. I don't do costuming myself, but my daughter does and AI admire the results. I like the sacque gown, just looks a bit less confining than the others. But all are lovely. I love the not so fancy character of the Italian gown! I've been wanting to make a round gown for some time, and if this book is not only beautiful, filled with patterns and advice but also encouraging... I might need my own copy and get to sewing!! I would love to learn more hand sewing stitches. I've recently realized how much I enjoy hand sewing. It's very relaxing, though I think if I did a dress by hand, there couldn't be much of a deadline involved, or it would probably take the pleasure out of it. I think the English gown would be the first one I'd try. I love the sacque gown. I would love to learn more about their sewing process. I can't wait to get my hands on this book! I've really been looking forward to getting into 18th century clothing! I once tried to make a gown and it came out kinda ok but definitely not right. Hopefully this will help my next effort! My favorite gown is the Sacque Gown, though I have a fondness for the Italian Gown as well! I have been waiting for this book to come out. How exciting! 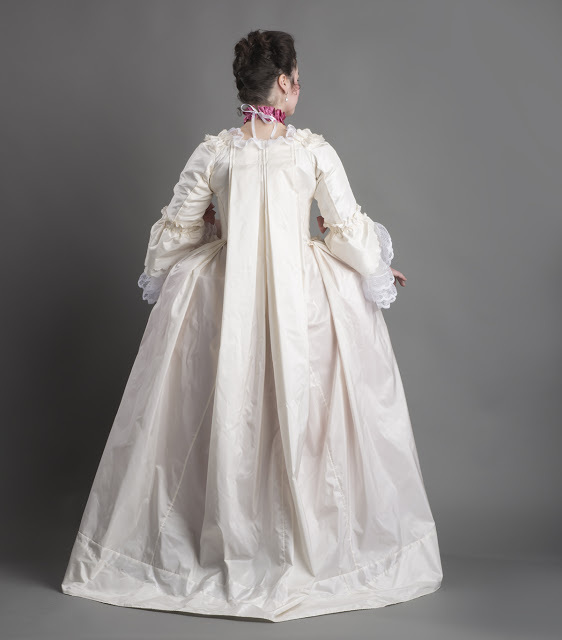 I am a big fan of Sacque back gowns, and would love to learn to make a more historical version. Am making 2 court gowns Robe a la Francaise and they are made by hand sewing, period accurate as much as possible..need to pick it up again but the book will be great for more projects as I am also restoring things. It will be a great read and bought 2, so I can always give away one. Such a lovely present. They did an amazing job and I can not wait to get it in the mail. So excited to enter this era with such incredible information! Thank you!! The sacque back is definitely my favourite! I can't wait to try out the Robe a la ingles, it looks awesome! I am looking forward to making the english gown I have some brown wool from Jas. Townsend... that I have been waiting for the perfect gown. I love the Italian gown! I've studied 19th century clothing for 20 years, but I've been drawn to the 18th century for the past few years. I can't wait to get my copy!! I’m in love with the Robe a la’Francaise! I have a length of navy silk with gold metallic embroidery just waiting for when I get my hands on this book. My favorite is the Sacque gown. I've always wanted to make one and hopefully I'll be able to soon! I'm so excited about this! I think the Italian gown is my favourite. But pretty much all historical gowns are fascinating. I have had a yearning to make a sacque for years. Maybe with Lauren's instructions I'll finally be able to make the leap. Thank you for hosting a give-away! I am looking forward to learn about all the gowns and accessories discussed in the book. I want to make an Italian gown next year! What a great giveaway! I love the sacque gowns! They are just so pretty! Definitely my favorite! I'd love to win this! But I read that it ships to US addresses and I love in Canada, so I'm not sure if I'd even be eligible. But I'd pay the shipping if I could! It would be a wonderfull book that complements my library on 18th century clothing. Sadly enough I live in the Netherlands, so maybe not eligible to win. Would like to know how to buy it. What a great book! I hope I win! I like the English gown for its fabric and trim. 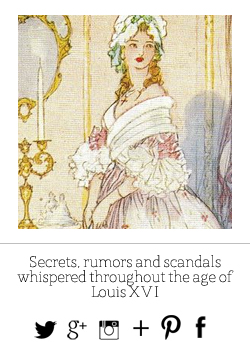 I always enjoy a good book on the 18th century. I do hope I am lucky! The English gown is amazing. Would love to be able to read this! I'm currently rehearsing Handel's Messiah, and while this year's performance is not in period costume, I'm planning a Sacque gown for future years--the back ties (using modern elastic) mean a gown I can BREATHE in! Haven't figured out how I'll make stays that also flex...maybe a standard HA pattern w/stretchy side panels? Any suggestions? Oh my goodness these dresses are GORGEOUS!! I love the Italian gown especially!